Saana Hellsten is a Finnish multidisciplinary designer based in Helsinki with an international clientele and background. She works in the field of art direction, branding, packaging design, illustration and visual design specializing in ethical brands. Organic, gender neutral, sustainable and environmentally friendly products and designs are close to her heart. She is especially known for her work BASIK, a design project which criticizes packaging that perpetuates gender stereotypes and sees gender-neutral packaging as a factor that can encourage gender equality and create a more sustainable world. Basik has been showcased in several magazines and online publications, FastCompany, The Dieline, Trendland, ADC Magazine, and Le Temps to name a few. IdN™ Magazine® and Rum in addition to online publications have showcased Saana’s other work. She received her BA in Design from Lahti Institute of Design with Innovation of the Year 2011 scholarship. 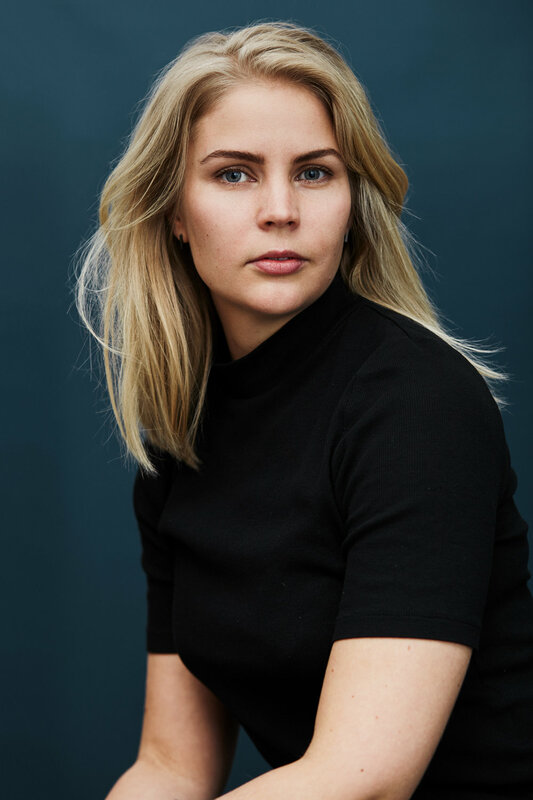 After graduation and before moving to New York, she was an Art Director at Stockmann, Scandinavia's biggest department store and worked in the field of fashion retail and marketing. When living in New York nearly four years she graduated from Pratt Institute with Master’s Degree in Packaging design and gained work experience from some of the top agencies of the country, such as Collins, Code & Theory and Pearlfisher. In New York she started working as a freelancer and gained a clientele she still works with. When moving back to Helsinki she founded Studio Hellsten and expanded the business across Nordics and even Middle East. She has received multiple awards and scholarships, such as the prestigious ADC Annual Award's Silver Cube, A’ Design Award, Art of Packaging Merit Award by Marc Rosen Scholarship and 2nd Place at The Wall Street Journal’s 125th Anniversary Competition in addition to graduating from Pratt Institute with Distinction and receiving The Award of Pratt Circle. In 2017, she was a part of the jury in the "Visual Identity" category at Vuoden Huiput in Helsinki and in 2018 she was part of the jury at ADC Young Ones. Alongside her work she does print making, ceramics and other art forms as side projects. Being international is important to her and she loves to travel. Besides New York and Helsinki, she has also lived and studied in Berlin and Italy. She is a big foodie, a cat lover and an endless seeker of random experiences. Being Scandinavian, Saana has a high appreciation towards nature, sustainability and equality and these are qualities she tries to keep in mind with her work as well. Her goal is to create timeless and functional design. Design, that doesn't bring more unnecessary trash and clutter to this world. Design, that has a purpose to exist. Saana thrives to work with brands, big or small that share the same values as she does. With her experience in various fields of design, she is able to deliver a holistic approach to her projects and make sure that the brand values are communicated in all aspects of the branding. If you feel you share these same values, please do not hesitate to contact. Let's make the world a better place together!